London: Goalkeepers Loris Karius of Liverpool and Real Madrid's Keylor Navas have the onerous task of keeping the score down when the two most prolific sides in the Champions League this season meet in Saturday's final in Kiev. Spearheaded by the free-scoring Cristiano Ronaldo and Mohamed Salah, both teams are packed with attacking talent, while at the other end of the field Karius and Navas have often been pinpointed as weak links. Despite playing their part to get to the final, doubts remain over who will be number one at Anfield and the Santiago Bernabeu next season. "Do I think that he should be changed? Probably,” said former Liverpool defender and assistant manager Phil Thompson on Karius's future. "Real Madrid will look at Karius and think he is a weak link when we get to the final, I'm sure of that," added another Liverpool European Cup winner of the past, Mark Lawrenson. Karius, 24, has started all 12 of Liverpool's Champions League matches since the start of the group stages, recording a competition-high six clean sheets. However, he played second fiddle behind Simon Mignolet in the Premier League until January. Bought from Liverpool boss Jurgen Klopp's former club Mainz in 2016, the German was expected to replace the much-questioned Mignolet long before. But after breaking his hand in his first pre-season, he struggled badly in his debut campaign and was dropped after just 10 Premier League appearances. "If he was not a good goalkeeper I would be the biggest idiot in world football if I line him up. 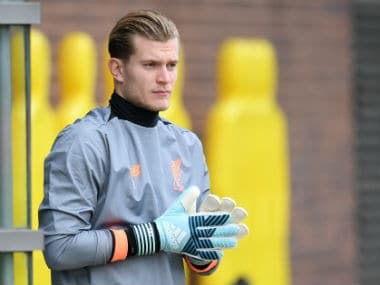 Maybe a few people think I am, but he is an outstandingly skilled goalkeeper," argued Klopp after putting his faith back in Karius after the turn of the year. "The start was not very good and in our life people make their assessment immediately and say the start was bad so there’s nothing. "He needed time and needed the situation, he needed the training with (goalkeeping coach) John (Achterberg) and now he is playing. Thank God, he is playing well." But for a matter of seconds that changed his life, Navas could also have ended up in England's northwest. The Costa Rican was intended to be Madrid's makeweight in the move that brought David de Gea from Manchester United in 2015. Instead, that deal was not completed in time on transfer deadline day and Navas has gone on to be a two-time Champions League winner. Deeply religious, Navas has put that twist of fortune down to a higher power. A hero in his homeland, his rise from humble origins to become one of Real's millionaire galacticos has been made into a film called "Man of Faith" that was released in Spain this week. Despite Madrid's success, though, Navas has never been able to shake off speculation every season that he could be replaced. 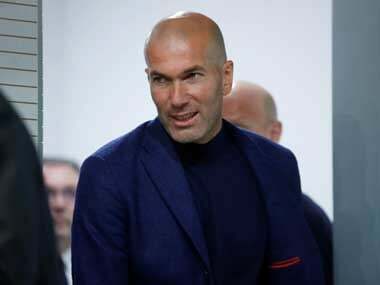 Only a late intervention by Madrid boss Zinedine Zidane prevented the club signing Spanish international Kepa Arrizabalaga in January, while De Gea and Chelsea's Thibaut Courtois remain on Real's radar. 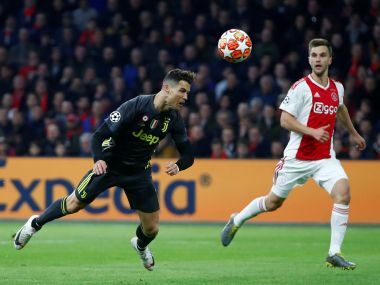 Navas's case was not helped by high-profile errors to concede goals against Juventus as Madrid sneaked past the Italian champions in the quarter-finals, and in a first leg semi-final win at Bayern Munich. However, he more than made amends with eight saves to repel a second leg onslaught from Bayern to book Madrid's place in Kiev. "They should thank Keylor Navas for his performance in goal, he was spectacular," said Bayern boss Jupp Heynckes. Navas was at the Cannes Film Festival last week, promoting his movie, where he admitted to being more nervous on the red carpet than at a Champions League final. Making sure they do not suffer stage fright on the biggest stage will be key to Karius's and Navas's chances of keeping their places next season.